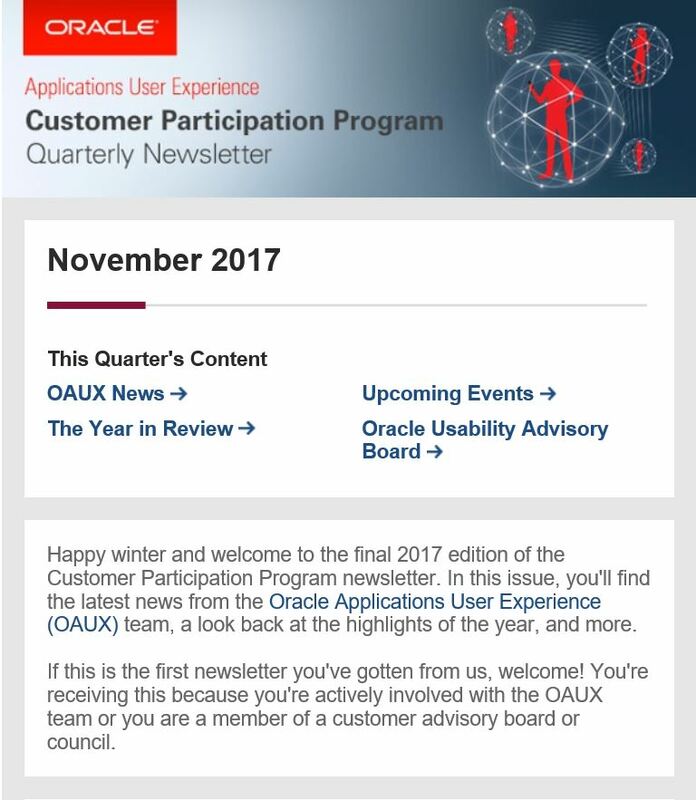 Learn More About Oracle Applications User Experience How does Oracle interpret user experience (UX)? Our research serves as the foundation for the design of the cloud UX. To learn more about Oracle's cloud UX strategy, what's guiding our design themes and philosophy, and how customers and analysts are responding, visit www.oracle.com/oaux.